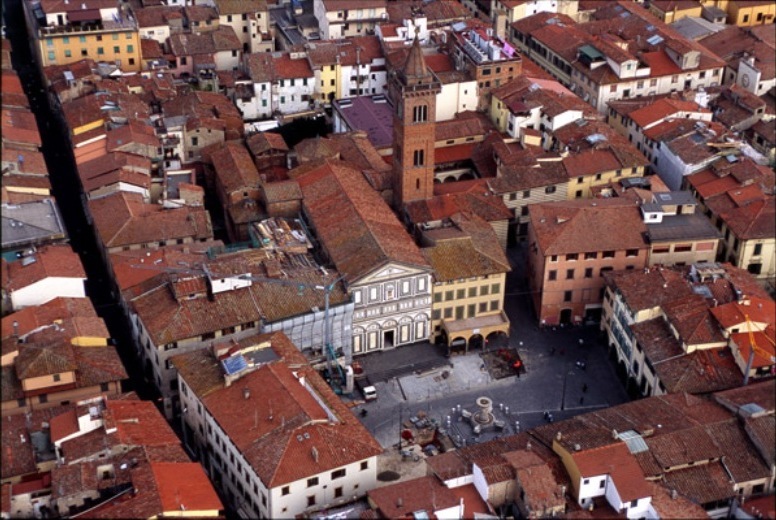 Usually off regular tourist routes, even though it’s on the main railway track from Florence to Pisa, is the town of Empoli located at about 20 km (12 miles) from Florence. Sitting in a plain to the south of the river Arno, in the early Roman Empire times Empoli had a tributary flowing through town and this largely favoured the trade of agricultural products (Empoli boasts its own variety of artichoke), ceramics and coloured glassware. 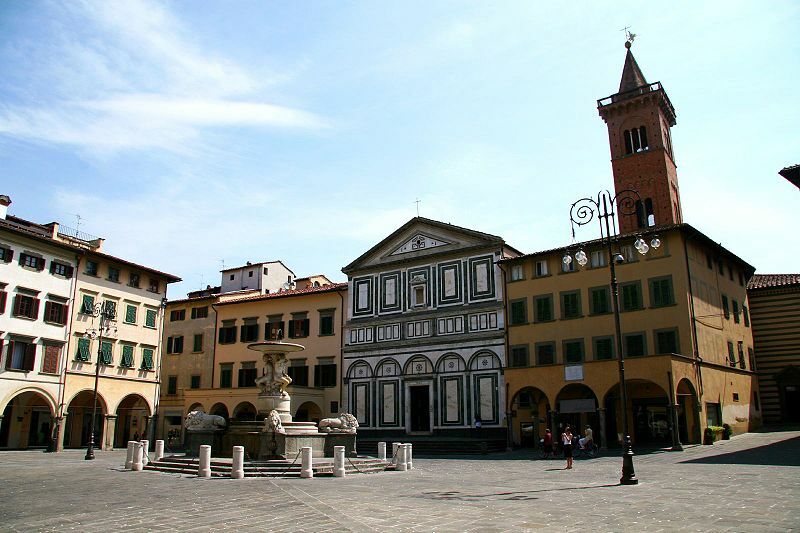 For those visiting Empoli, the heart of the town is Piazza Farinata degli Uberti, better known by the townsmen as the Lions Square given that the fountain in the centre is adorned by lions. The square is dominated by the Romanesque arcaded façade of the Collegiata di San Andrea, towering from atop its large flight of steps. This church probably existed as early as the 5th century and is mentioned in a papal bull dated 1059. It is decorated with bi-chrome marble stones, with the green ones coming from Prato and the white from Carrara. The church houses remarkable masterpieces among which paintings by Francesco Botticini and a Luca Della Robbia terracotta. 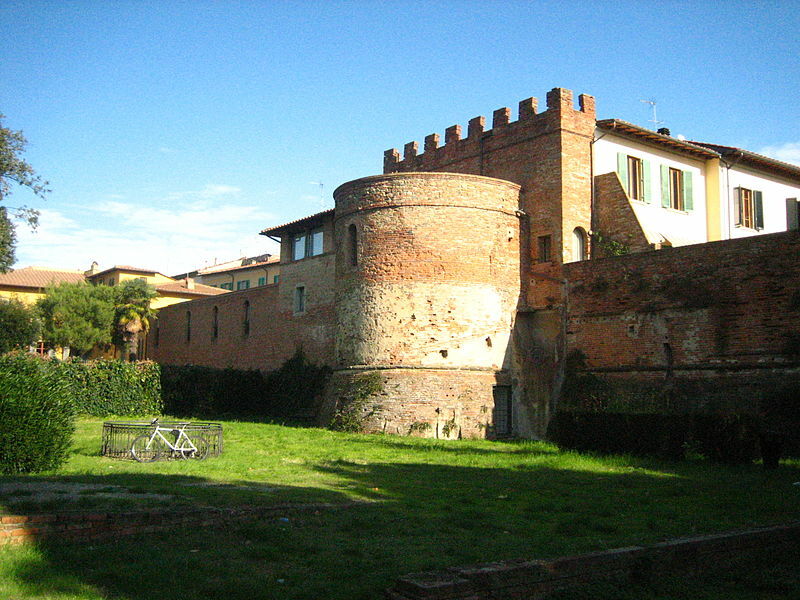 Next to the Collegiata di San Andrea stands the ancient Palazzo Pretorio, the town hall in the Middle Ages, while opposite is Palazzo Ghibellino, the former palace of the Guidi counts. Probably erected during the 11th century, in 1260 it was the seat of the Ghibelline parliament where the fate of the Guelphs of Florence was settled on. Today it hosts exhibitions and meetings. Other sights not to miss are the nearby Augustinian convent and church of Santo Stefano, the sanctuary of Madonna del Pozzo and the many medieval towers picketing town. Empoli is an excellent place for a base camp, from which to visit most Tuscan art centres such as Florence, Pisa, Lucca and Volterra. Furthermore in the surroundings is also Leonardo’s birthplace, Vinci, the town of Certaldo, beautiful San Miniato and the be-towered San Gimignano. We suggest following one of the roads out of Empoli, towards the hills, and reaching the hamlet of Martignana where a lovely farm stay is located. The estate is on the hilltop surrounded by 30 hectares of land and boasts a selection of produce among which an extra virgin olive oil, Chianti wine and a passito vin santo dessert wine. In two of the farmhouses, dating back to the 18th century, the owners have obtained seven comfortable holiday flats, each with its own furnished outdoor space. The large grounds also house a swimming pool and a barbecue. Furthermore, the proprietors offer the possibility of wine and olive oil tasting. 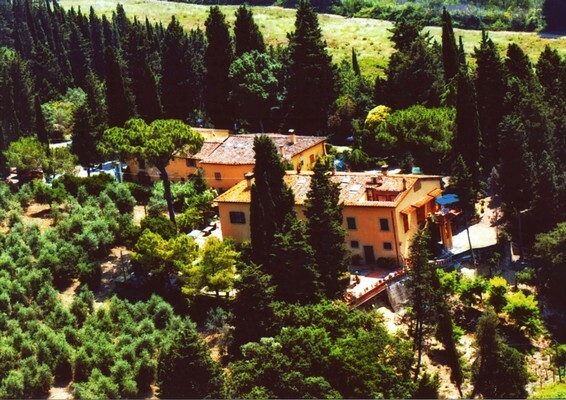 Here you will spend your holiday surrounded by nature and a relaxing milieu, enjoying the Tuscan countryside and its breathtaking sunsets at just a few kilometres from most Chianti attractions. 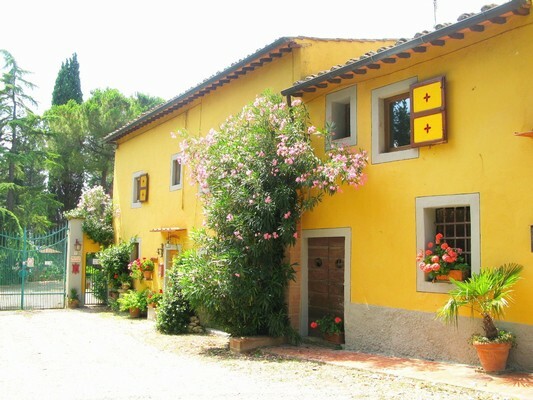 Questa voce è stata pubblicata in Accommodations in Tuscany, Culture and accommodations in Tuscany, Tuscan lifestyle e contrassegnata con Empoli, Farinata degli Uberti, Florence, Lucca, Pisa, Tuscan farm stay, Vinci. Contrassegna il permalink.